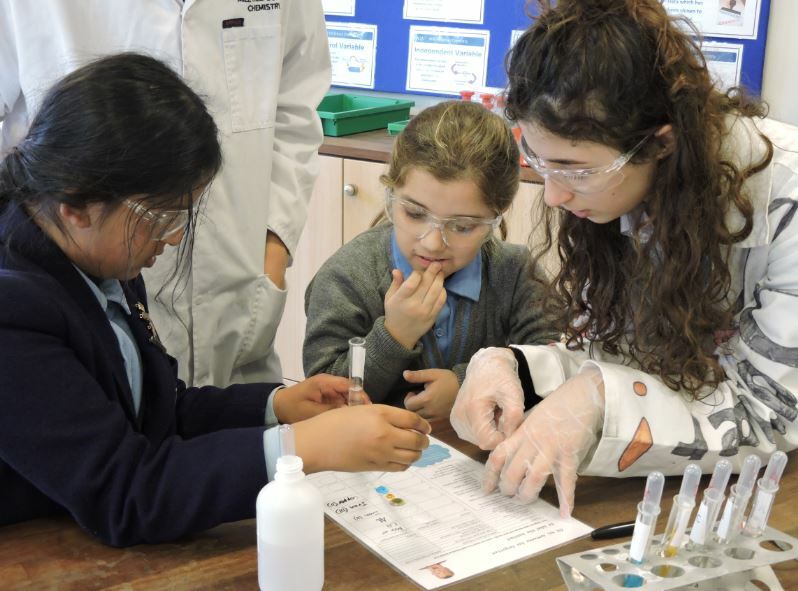 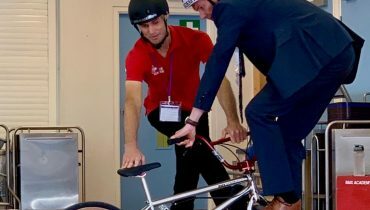 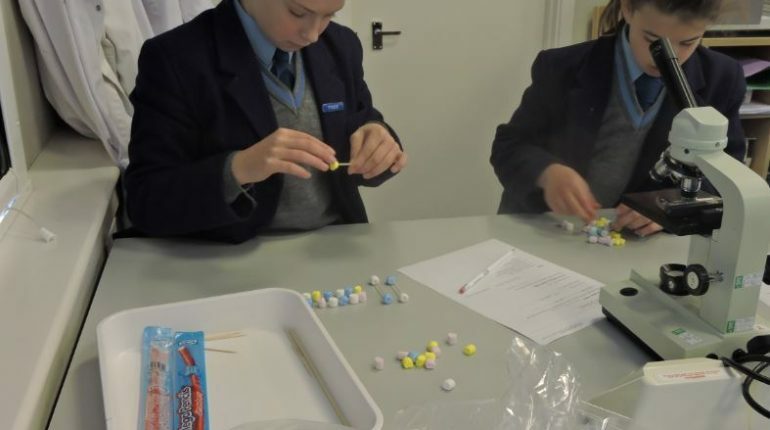 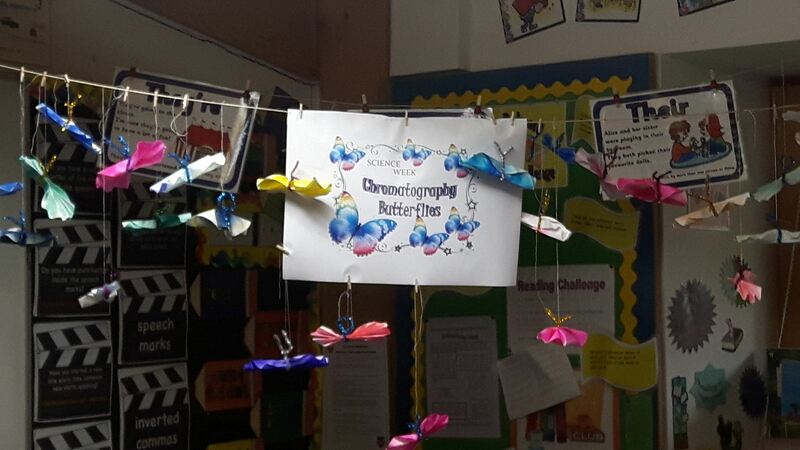 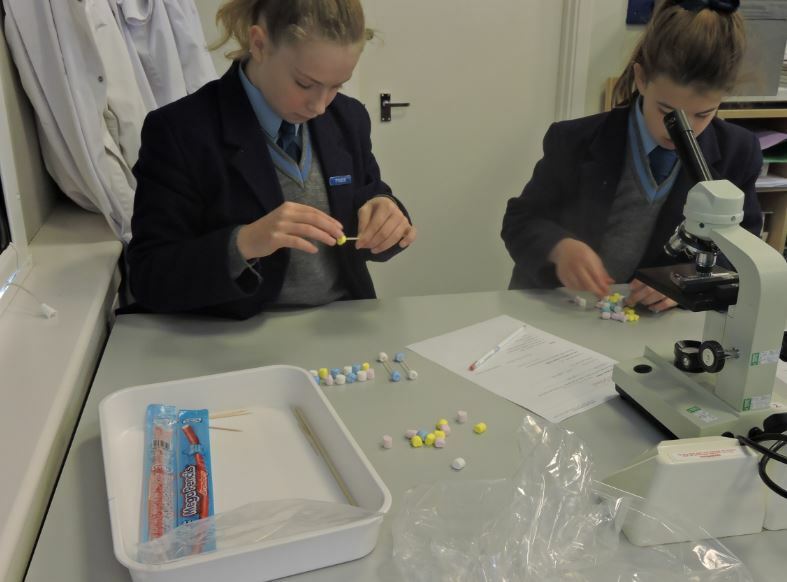 Many exciting activities took place for science week for all year groups, within classes and extra activities. 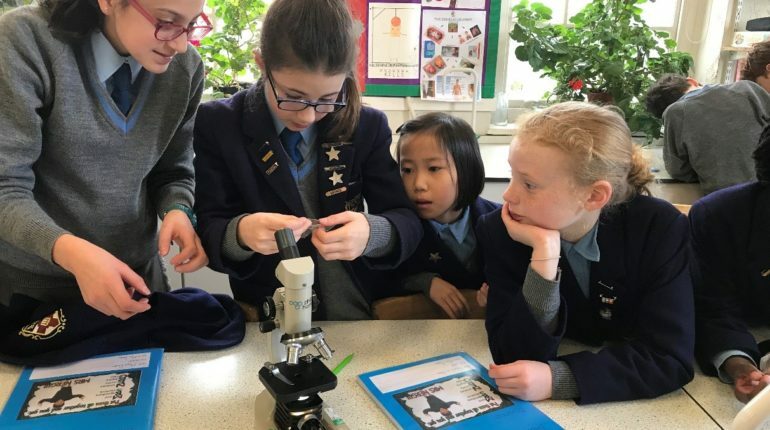 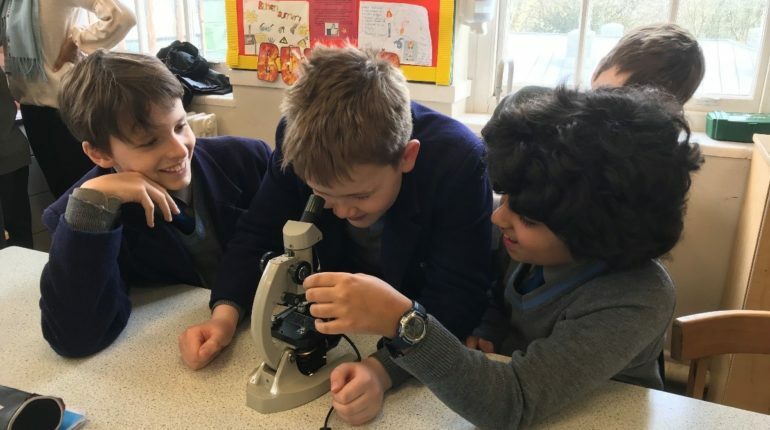 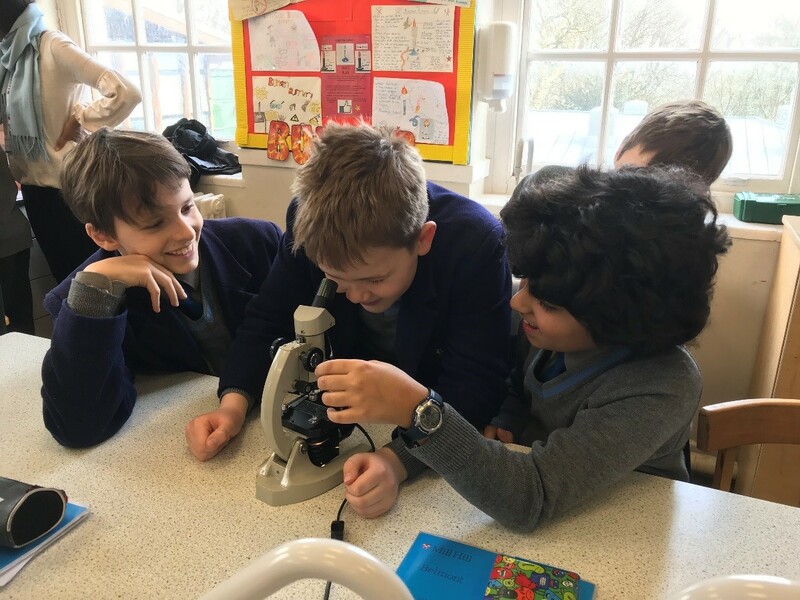 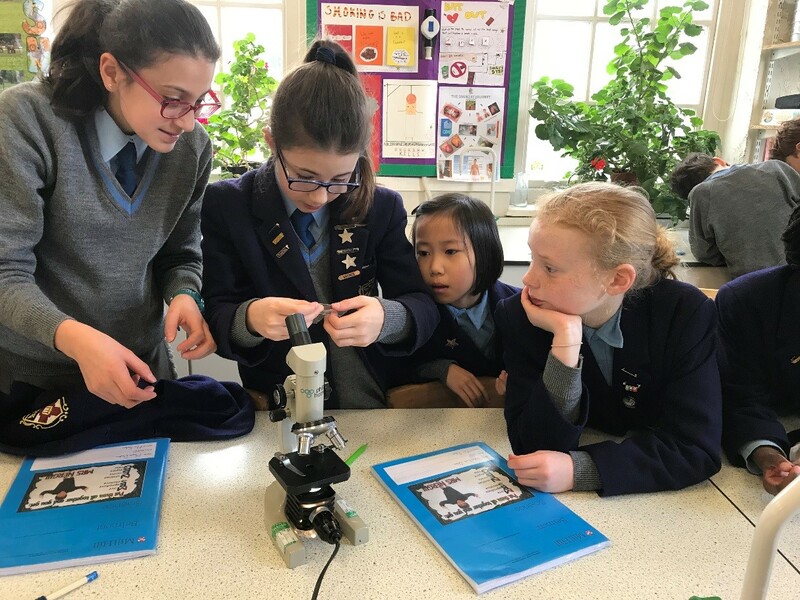 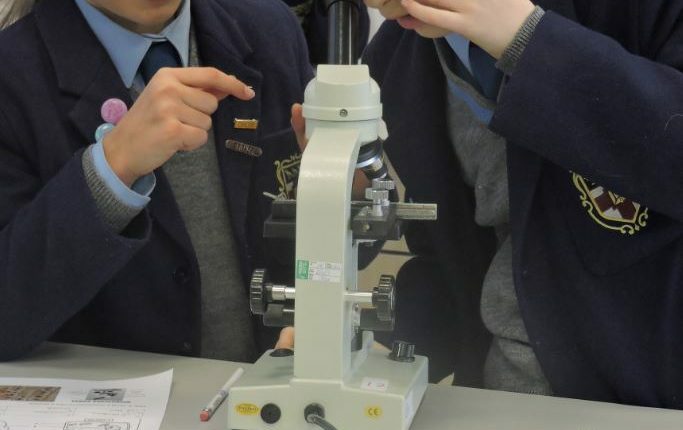 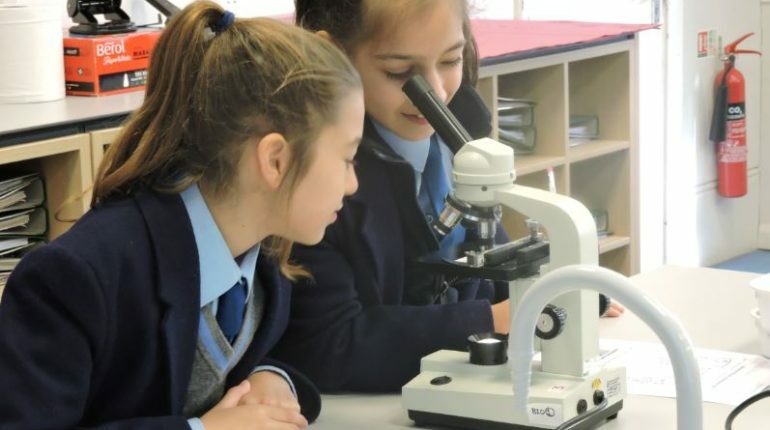 Year 4 and 6 – Year 6’s took leadership and introduced the younger scientists to the world of microscopes. 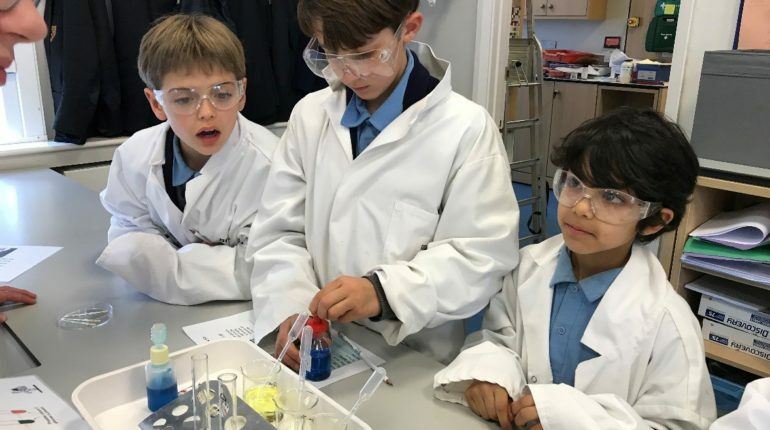 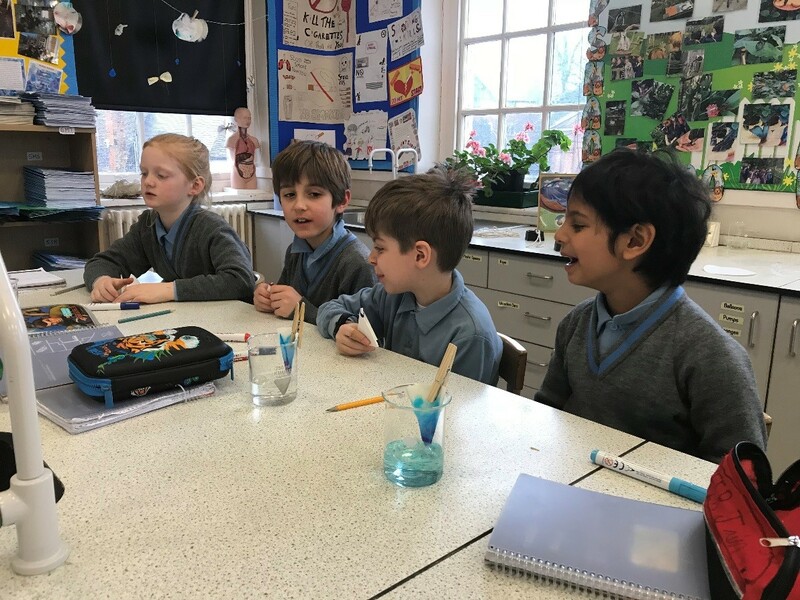 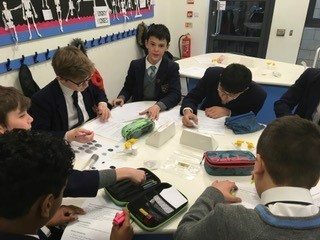 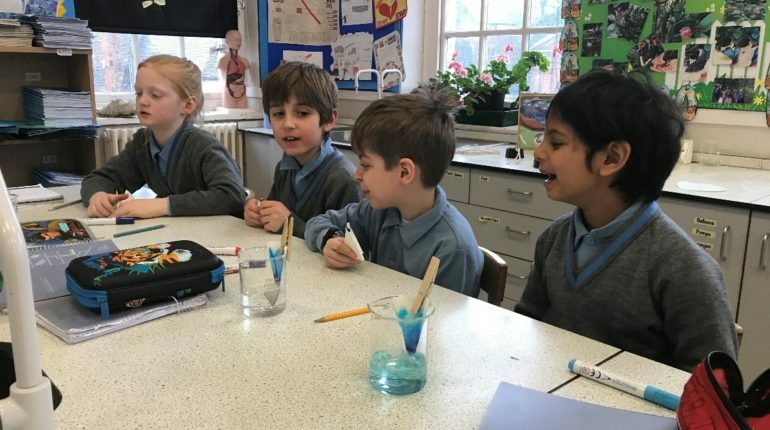 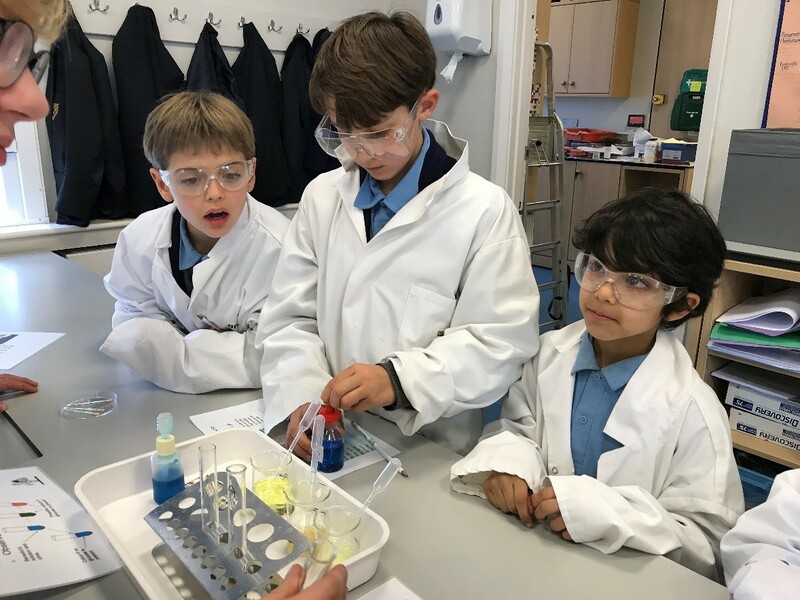 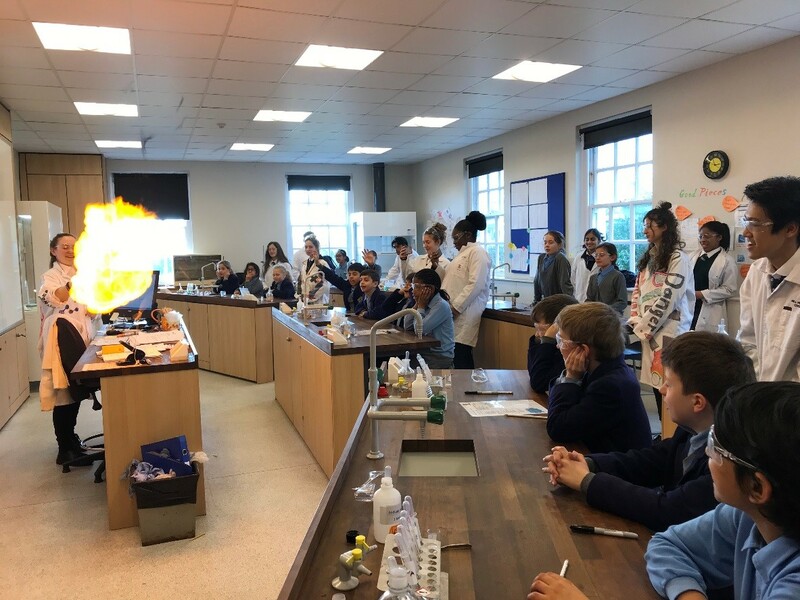 Year 5 – Visited Mill Hill Science Department for the afternoon with their form teachers – enjoying a range of practical activities within Physics, Chemistry and Biology. 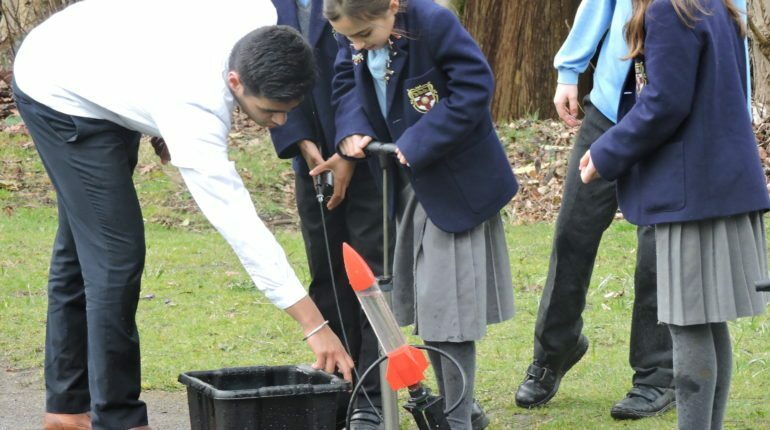 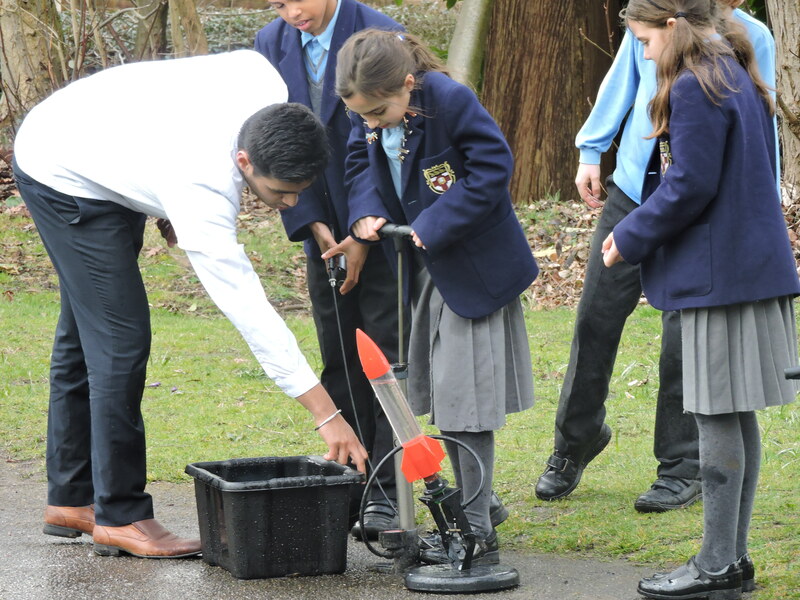 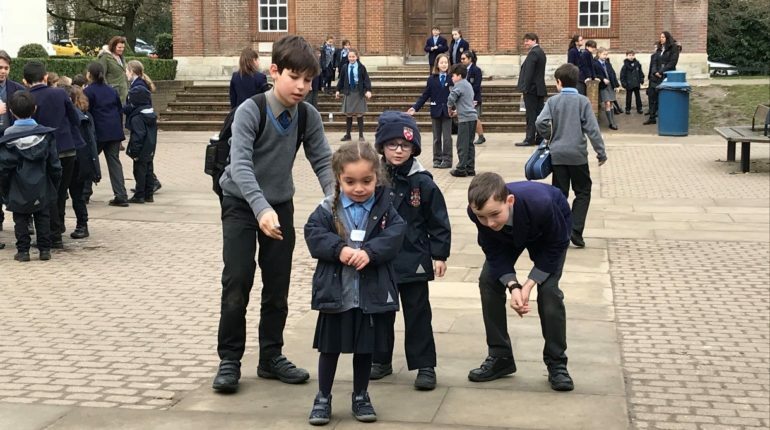 Y6 leadership with Y1 from Grimsdell – making and testing Alka-Seltzer Rockets. 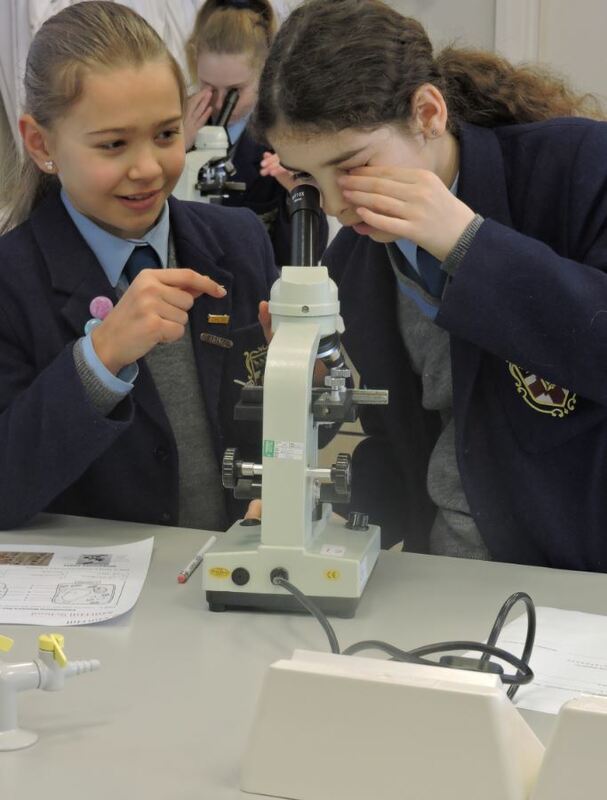 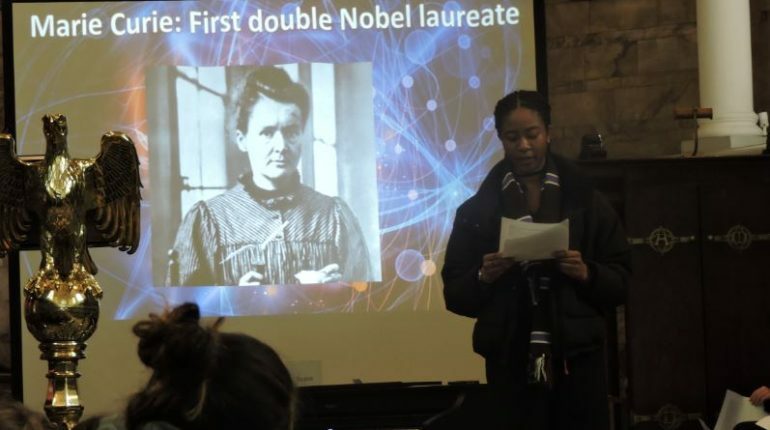 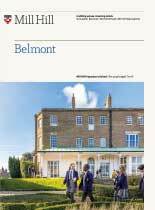 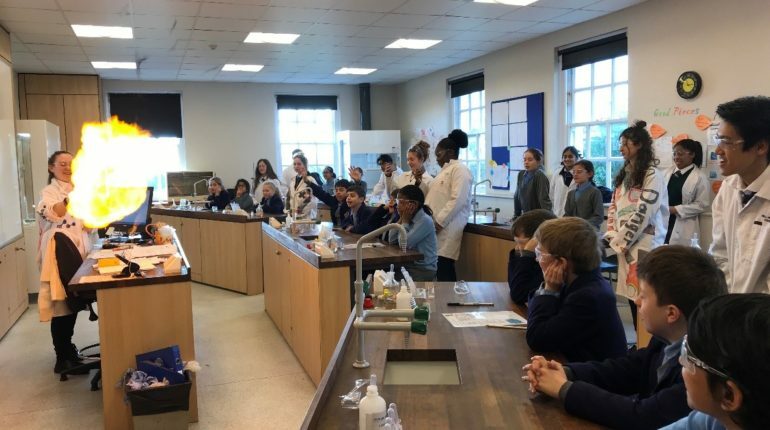 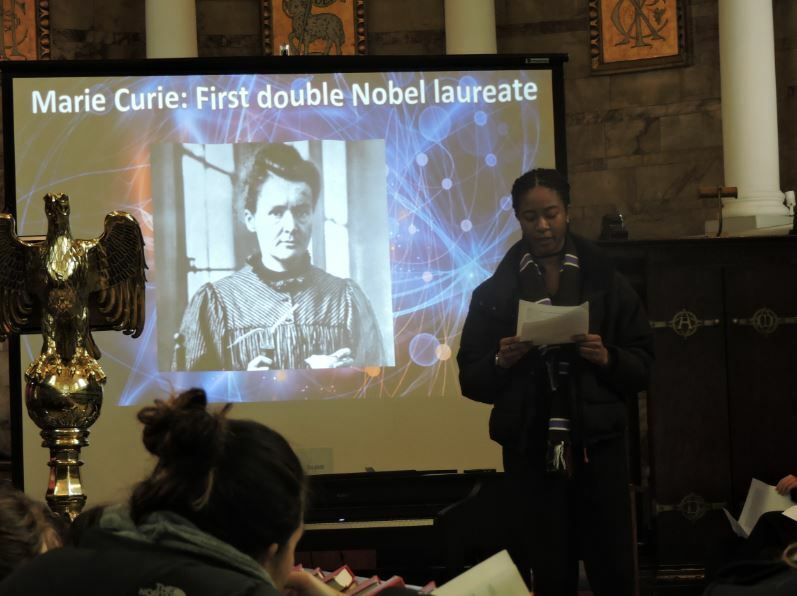 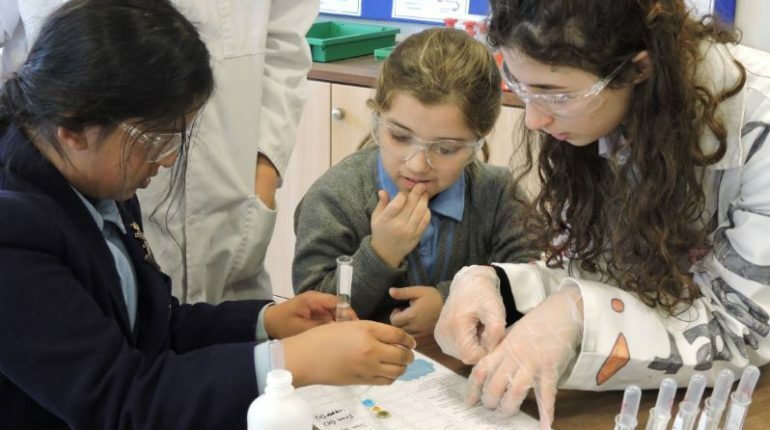 Year 6 (Girls) – Celebrating International Women’s Day by visiting Mill Hill for ‘Famous Women in Science’ talk & Science practical’s. 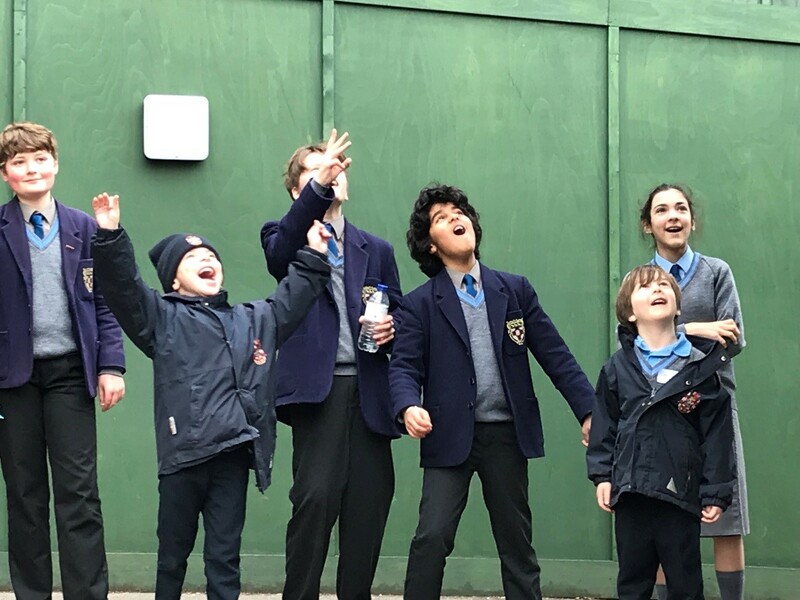 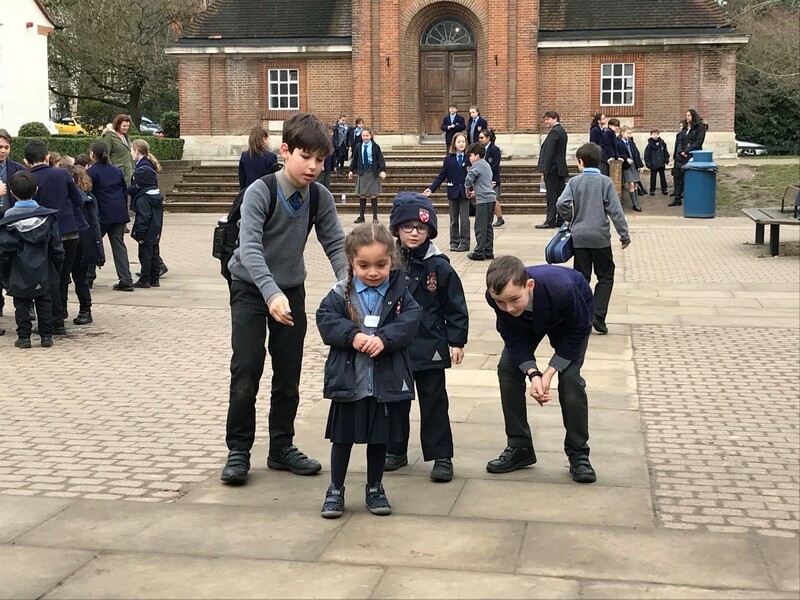 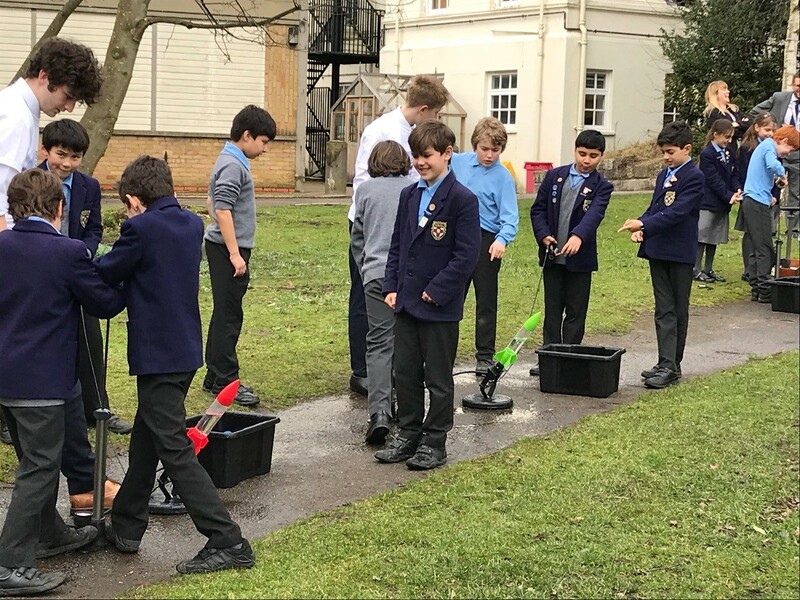 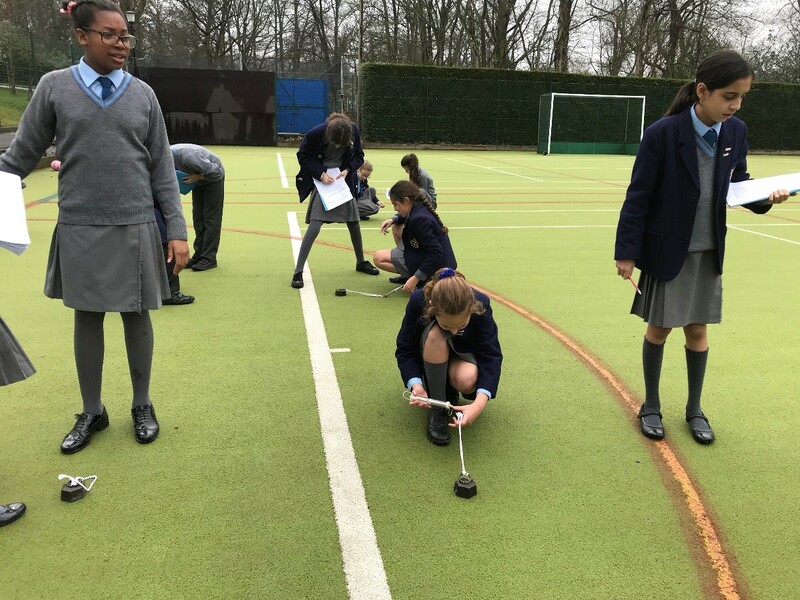 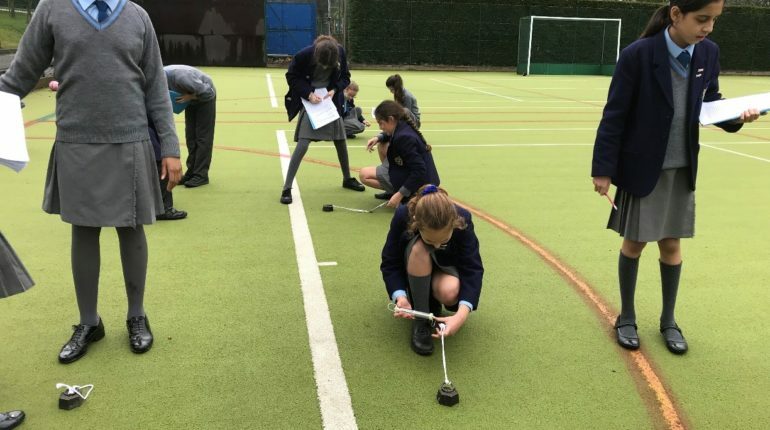 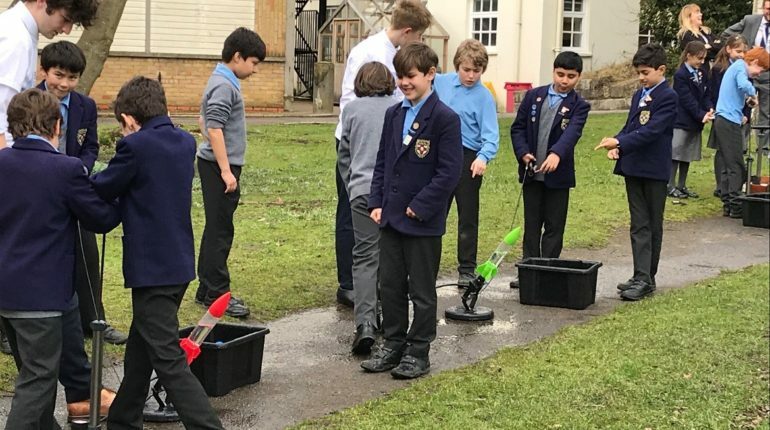 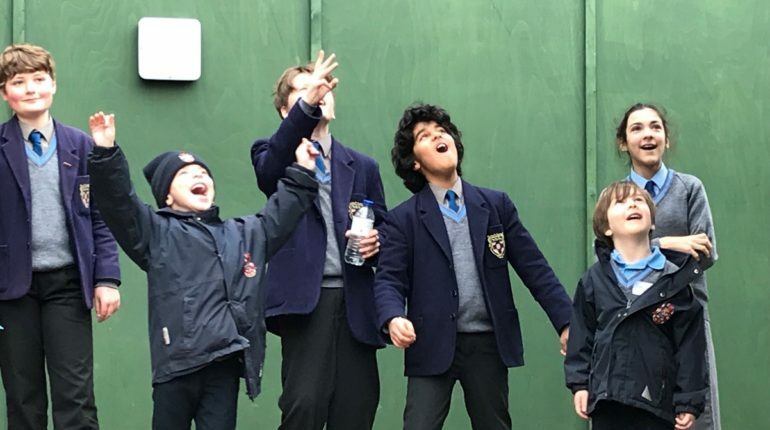 Year 6 – Testing the Friction Grip of the Astro in Wet Weather. 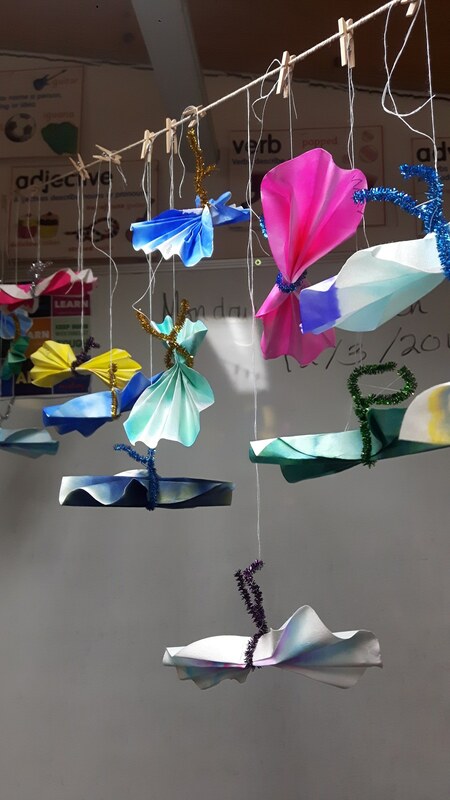 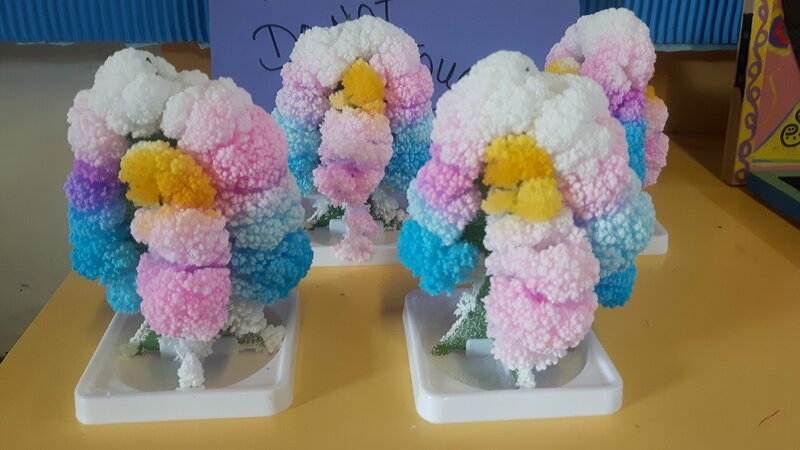 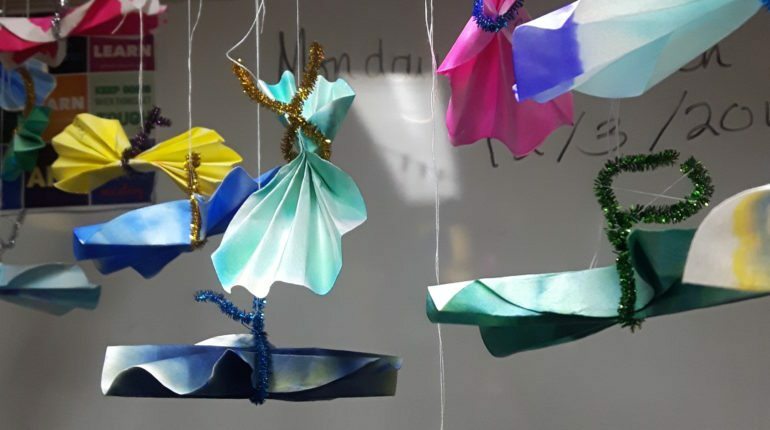 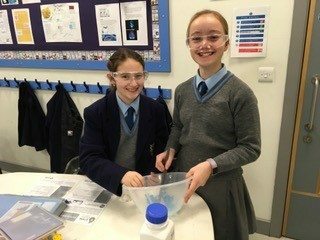 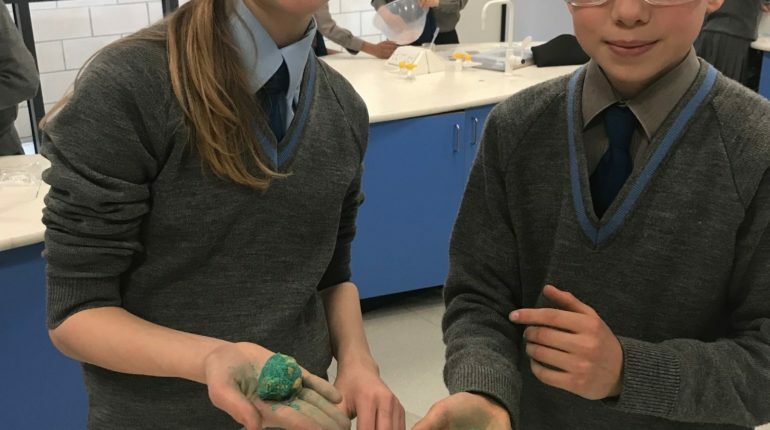 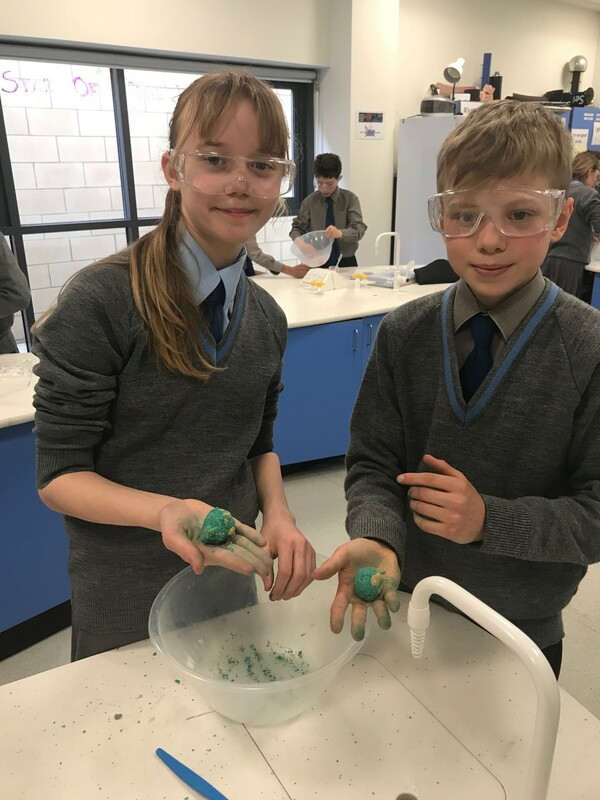 Year 7 – Made bath bombs linking in with Stem Club. 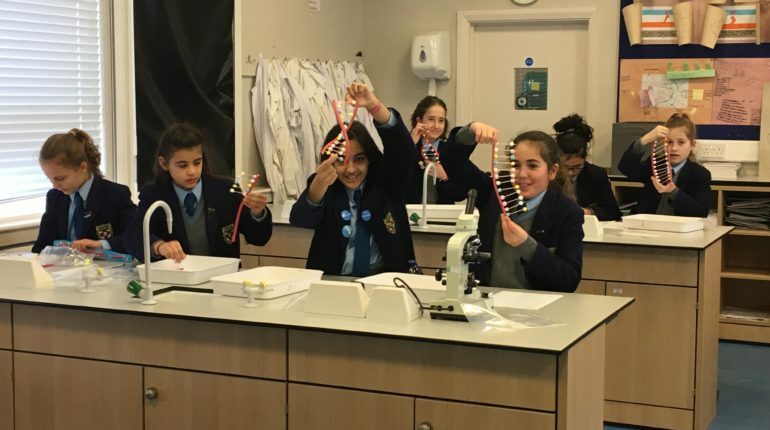 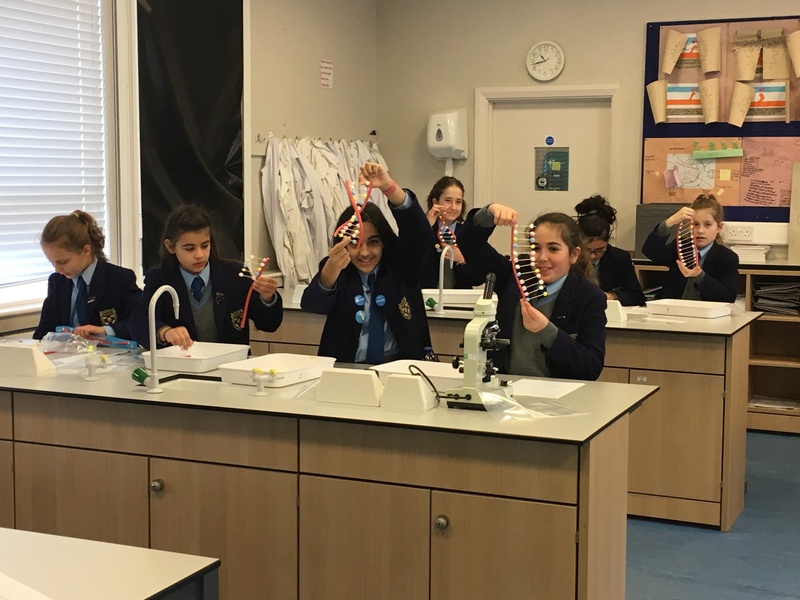 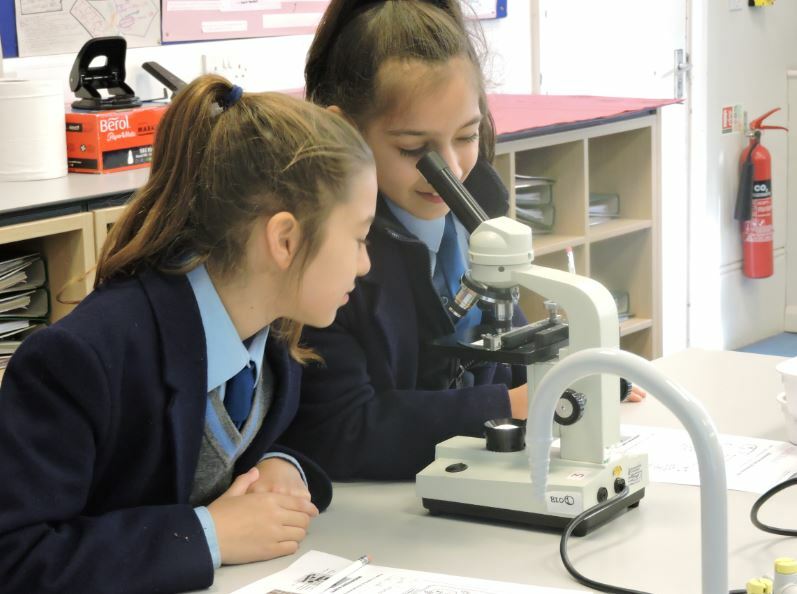 Year 8 – They were introduced to the world of Forensics. 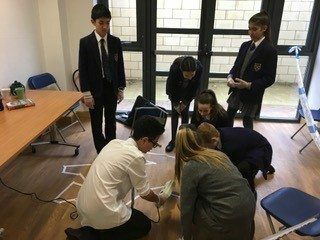 Visiting a Crime scene and carrying out various analysis techniques to solve the crime.